The main tick of concern for pet owners is the Paralysis Tick (Ixodes holocyclus) as it can cause paralysis and death within 2-4 days of attachment. Whilst Paralysis Ticks occur naturally only in certain geographic areas (mainly along the coastal eastern seaboard of Australia) they can attach to pets who visit these areas during the warmer months, particularly if they are allowed to run through scrub.Ticks may also hitch a ride back with you or a neighbour in cars, rugs, towels or plants. In our local area ticks are highly prevalent in Kenthurst, Annangrove, Glenhaven, Dural, Arcadia, Berrilee, Glenorie, Galston. If you notice a tick on a pet that is not displaying signs of tick paralysis, remove the tick straight away. To do this, grasp the tick firmly where it attaches to your pet’s skin and give a quick sideways pull. 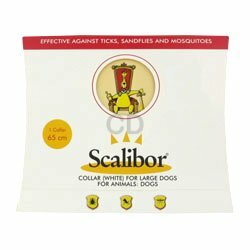 It is better not to try and kill the tick first as the dying tick may inject more of its potent toxin into your pet. If you are not confident removing the tick please call us immediately to make an appointment to have it removed. Once the tick is removed your pet should be kept cool and quiet whilst being closely monitored for 24 hours. If your pet starts to display any signs of tick paralysis, such as vomiting, weakness, staggering, breathing difficulty, or altered bark, seek immediate veterinary attention as this is a genuine veterinary emergency. If your pet is showing any of the above signs, do not offer food or water as these may be accidentally inhaled in tick-affected dogs. New tick Collar in stock now! !